It’s not easy to raise money for your startup. It’s even harder to raise it from people who’re stars in the ecosystem. And if your latest funding round includes three investors who run unicorn startups, you know you’re on to something pretty special. Ed-tech startup Unacademy has just raised $1 million, five months after it had raised a series round. 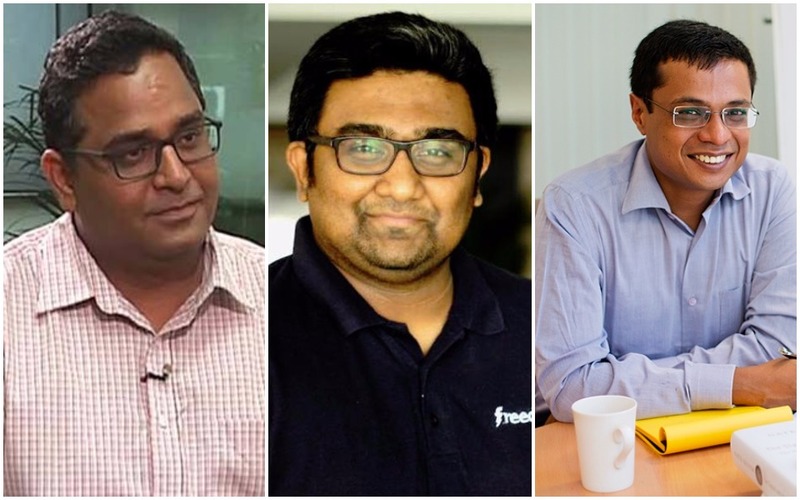 Its latest investors include Flipkart’s Sachin Bansal, Paytm’s Vijay Shekhar Sharma, and Freecharge founder Kunal Shah. Its list of earlier investors was just as impressive – the founders of RedBus, CommonFloor and Taxi4Sure had earlier put their weight behind the startup. What’s causing these very successful entrepreneurs to gravitate towards this relatively new startup? One factor has to be the team. For a company that tries to help Indians prepare for competitive exams, it has perhaps one of the best names at the helm. One of the cofounders is Roman Saini, who’d cleared both the AIIMS and IAS exam by the time he was 23, and then famously quit his IAS training to work on Unacademy. Unacademy allows educators to create courses on the platform, and has recorded close to 25 million views since inception. Cofounders Gaurav Munjal and Saini both take classes on the platform, and there are star teachers in the form of current Puducherry Lieutenant Governor Kiran Bedi and IAS Topper Tina Dabi. Unacademy now wants to scale up by investing in its app, research, product development and team. “Within two months, the Unacademy Create app will be made available to all, so anyone across the world can create lessons in any language they like. After a thorough screening process, we will make the relevant lessons available on our platform that will be free for all to see,” says CEO Gaurav Munjal. “In a short span of eight months, the founding team has proved that leveraging technology to empower its educators and students is a problem that can be solved effectively at scale,” said Sachin Bansal, executive chairman at Flipkart. Unacademy claims to have more than 300,000 students for over 2,400 online lessons and specialised courses through the platform. Unacademy is now in the enviable position of having some of the biggest names in the startup ecosystem behind it. While apart from the money, these backers will bring invaluable expertise and insights, Unacademy will do well to not be complacent. Sachin Bansal and Vijay Shekhar Sharma had also backed Rahul Yadav’s Intelligent Interfaces which fizzled out before it had even been launched. What perhaps more important than marquee investors and large amounts of funding is the ability to execute.